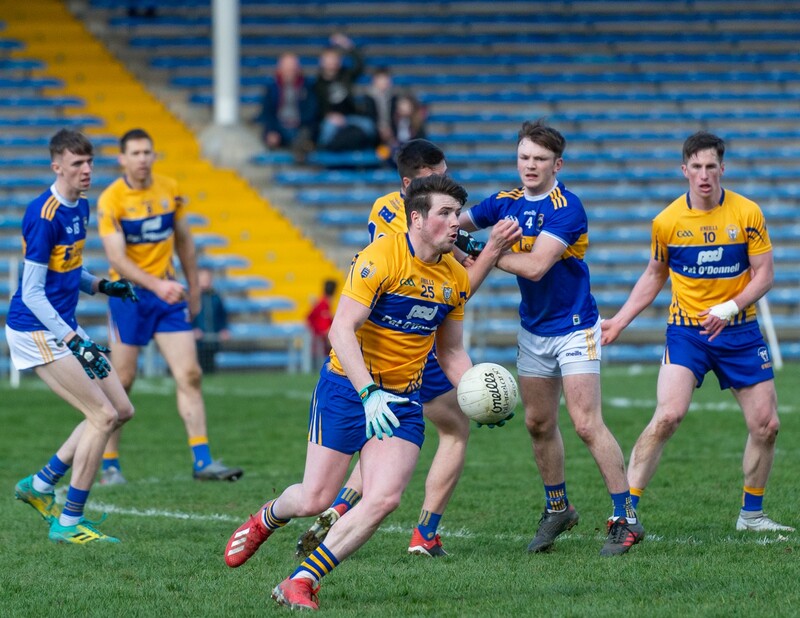 Securing their place in Division 2 of the Allianz National Football League for 2020 brought “a sense of relief” for all involved with Clare but it was also “sweet” for Keelan Sexton. One week previous when sprung from the bench against Meath, the Kilmurry Ibrickane attacker misplaced a pass that led to Graham Reilly’s goal that saw the Royal County on their way. It became a case of from zero to hero as it was Sexton in Semple Stadium when introduced that helped to turn it around for Clare in their do or die clash with Tipperary, his seventieth minute goal brought the Banner back to life and subsequent points from Gary Brennan and David Tubridy would seal the win. Sexton recalled the lead up to the goal, “The ball broke on the right hand side, Cian O’Dea was going for it with a Tipp man, he put 100 percent into it and threw whatever he had at it and got a leg to it. Jamie ended up winning it and they all went to Jamie him being the dangerman that he is and luckily I snuck in the back door, got it popped to me and on another day you’d say take the point and get you back in but I just said all week I was going to go for the jugular so I took a sidestep got it on to my left and put into the corner, thankfully it went in”. Though he leaped in the air to celebrate, Miltown’s Gordon Kelly was quick to bring his teammate back down to earth. “It’s the highest I’ve ever jumped and then I remember Gordon Kelly saying ‘get your head out of the sky for the kickout’ and I saw we still had six minutes to go and we were only level. All of a sudden Gary stepped up, we won the kickout and it all fell for us”. Before the ball was thrown in, Clare knew they needed to produce something that had been missing in their league campaign to date. “Both teams came down and just played, they knew it was a knockout game and we knew coming in that we had to put in a serious performance that we weren’t putting in for the last few weeks, thankfully everything came together and it was a real up and down see saw match and luckily we showed great character at the end to finish up and get the scores that counted to get over the line”. 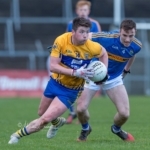 Recent games have seen the UL student have to settle for a place among the substitutes and he was determined to grab an opportunity if it was presented to him. “Coming into the game I really wanted to reward Colm and all the backroom for the faith he has put in me. I knew myself I wasn’t playing to the standard I was capable of and thankfully I got my opportunity and the lads around me gave me the chance and we worked together to get a great energy going in the second half”. “It was sweet, I know it was a League game but it was up there with all the games we’ve played, it was like a sense of relief because you knew you didn’t deserve it and it was looking like that but we showed great character and got over the line,” he added.